Water fountains add a sense of calm and tranquility to your home, garden or entryway. There's something very appealing about their trickling sound, whether on the patio or inside your home. Although outdoor water fountains can produce louder noises as the water springs from atop the installation, a quiet tabletop fountain pump is ideal for creating a soothing atmosphere inside. A quiet water fountain is something most people look for when purchasing indoor water fountain pumps. However, that's not always the case. Sometimes the water pump can become disturbingly noisy, and this calls for proper adjustments. Depending on the type of water fountain you have, the noise you hear will differ from one product to another. 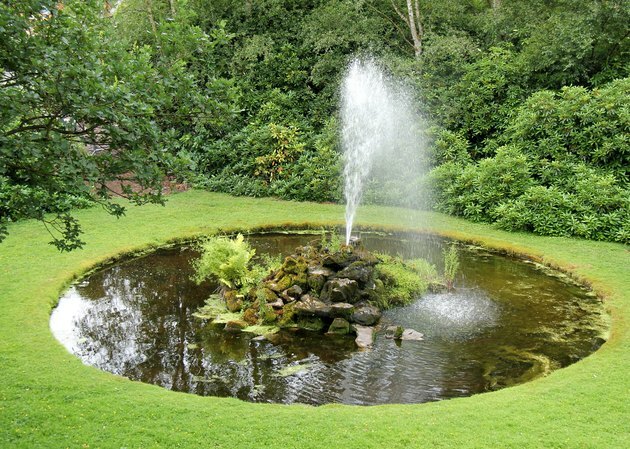 The sound level of the fountain will have much to do with its water feature style. For example, the tabletop fountain pump makes a soft, gentle burble, while a large or tiered garden fountain will emit louder, cascading sounds. There are also Japanese style or disappearing fountains that add an extra touch to your garden and create a pleasing atmosphere. All of these can produce different sound levels according to their design and water features. Although tiered basins generate louder noises compared to surface water flows, the main reasons for a noisy water pump come down to a low water level, a higher water flow volume or a water pump placed too close to the sides of the basin. When the water pump is not fully submerged, it's going to make more noise because it pulls the air in, causing it to move through its system. The same happens when the water pump is not positioned on the base correctly or not assembled properly. After determining the cause for the water pump noise, you can start to make the necessary adjustments. First, turn off and unplug your water pump. If the water level is too low and you can see parts of the pump, add water to the fountain base until the noise stops. In case of a higher water flow volume, you can cut the speed of the water fountainhead and bring the noise down to a minimum. By adjusting your pump's location, you can prevent it from vibrating against the sides of the basin. Make sure you put a sponge or some rubber matting underneath it to reduce the sound completely.